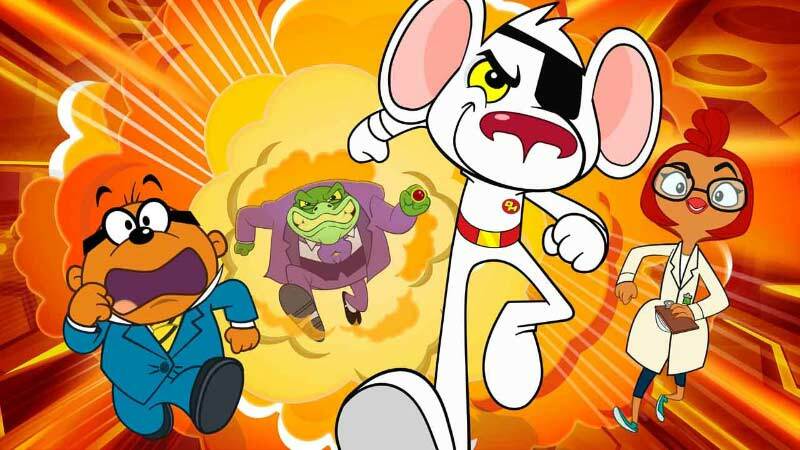 Penfold from Danger Mouse, will be a guest in CBBC HQ at dock10, talking live to Hacker, Katie Thistleton and Danger Mouse fans on 31st October 2018. He will be fully animated utilising the very latest in live animation techniques. Actor and comedian Kevin Eldon, who is the voice of Penfold will bring him to life. CBBC viewers will be able to send in their pictures and questions via the CBBC Buzz App and Penfold will reply live on television. Working with Kilogramme animation studio, Blue Peter Presenter, Lindsey Russell will be learning how to operate the live animation rig and will perform with Kevin operating Penfold's actions live on air. The behind the scenes film will be shown on Blue Peter on CBBC on Thursday 22nd November. The Danger Mouse Halloween Special, 'A Fear to Remember' will be shown on the channel on 31st October 18:00 it was released on iPlayer on Saturday the 27th of October.